Problem: When importing the database, it replaces some letters with special characters. This problem is due to the coding of the document, we always recommend it to be UTF-8 without BOM. 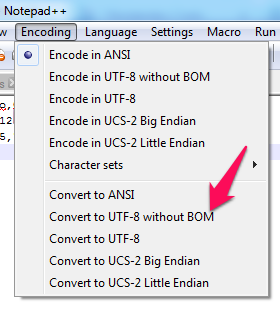 2) Click on "Encoding" and then select "Convert to UTF-8 without BOM".